1913. 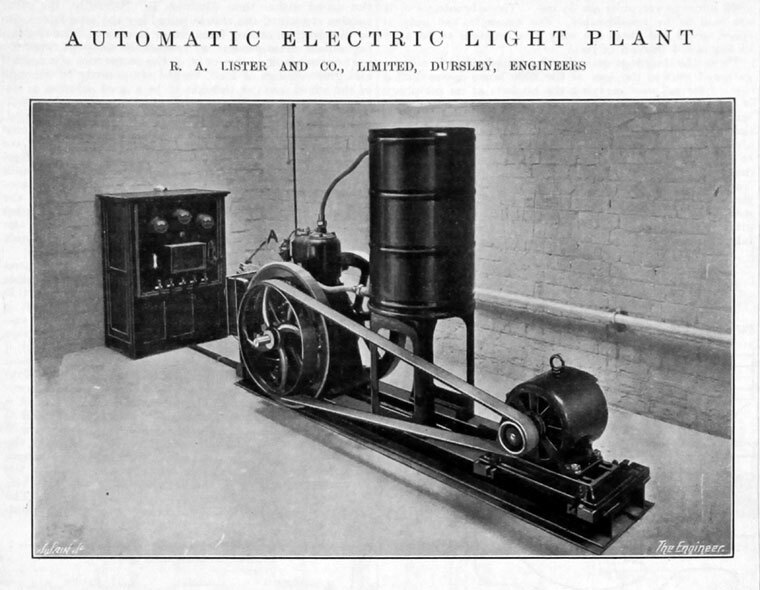 Automatic electric light plant. 1926. 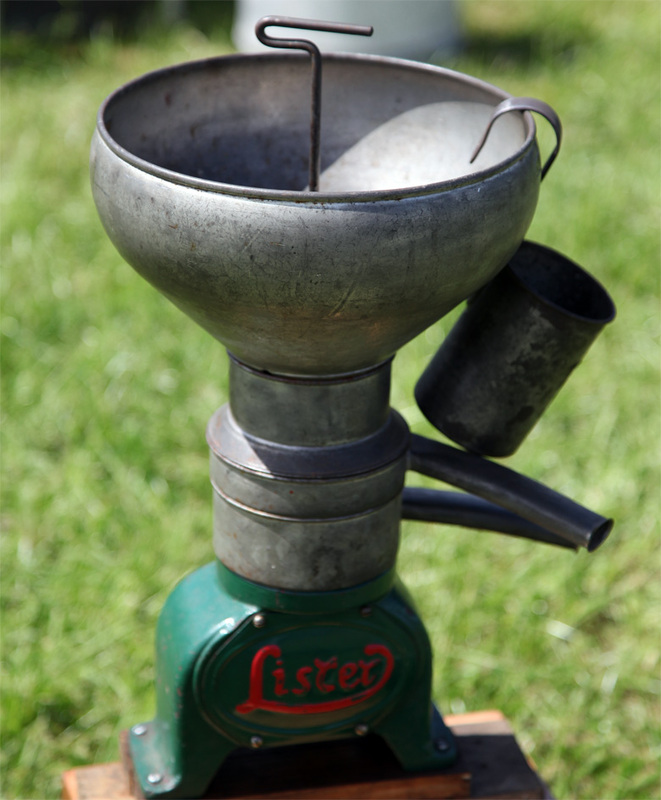 Lister Pumping Set. 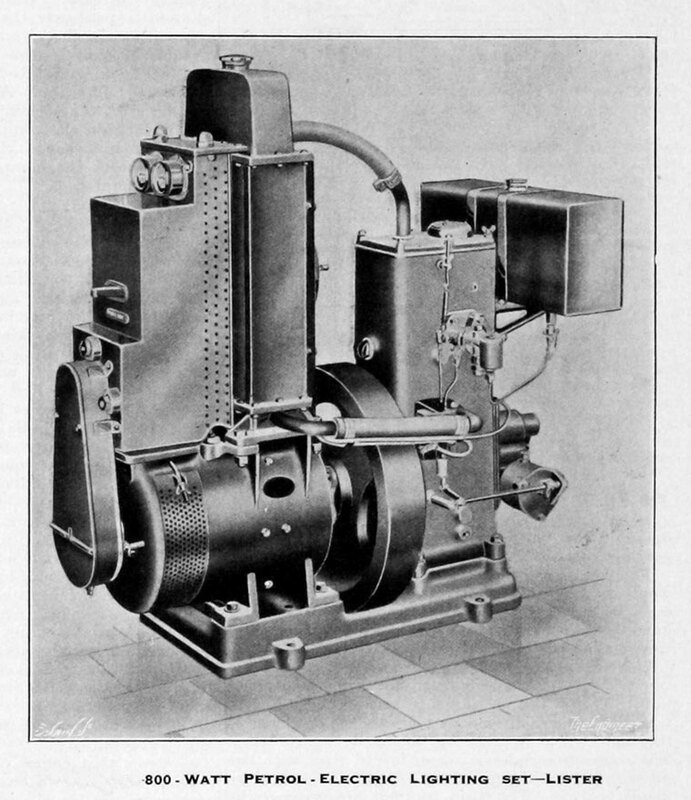 Engine type A with pump 638. 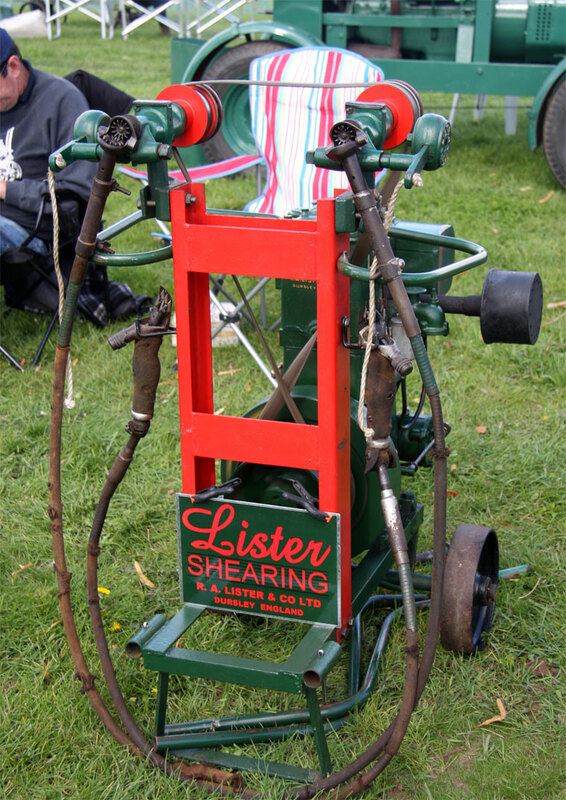 Lister Sheep Shearer No 9. 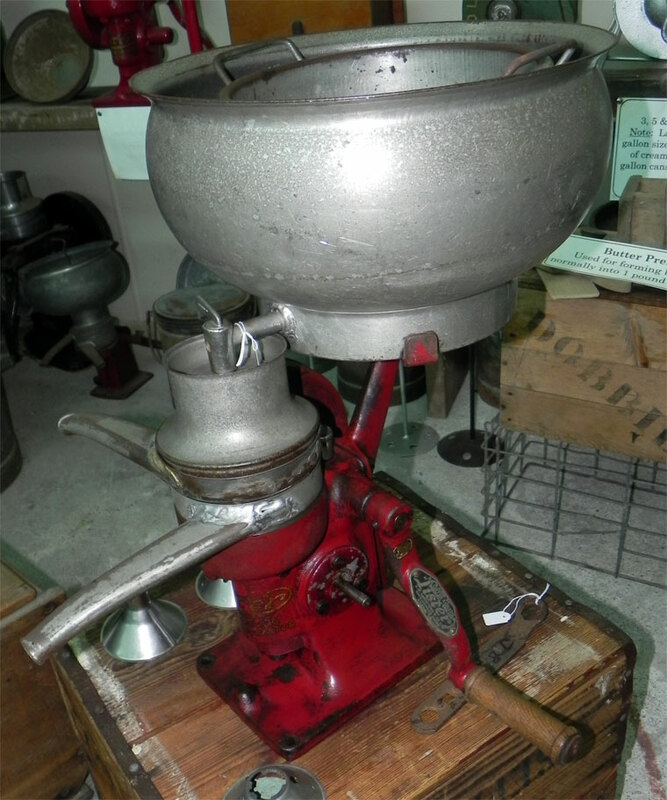 Exhibit at Lakeland Motor Museum. 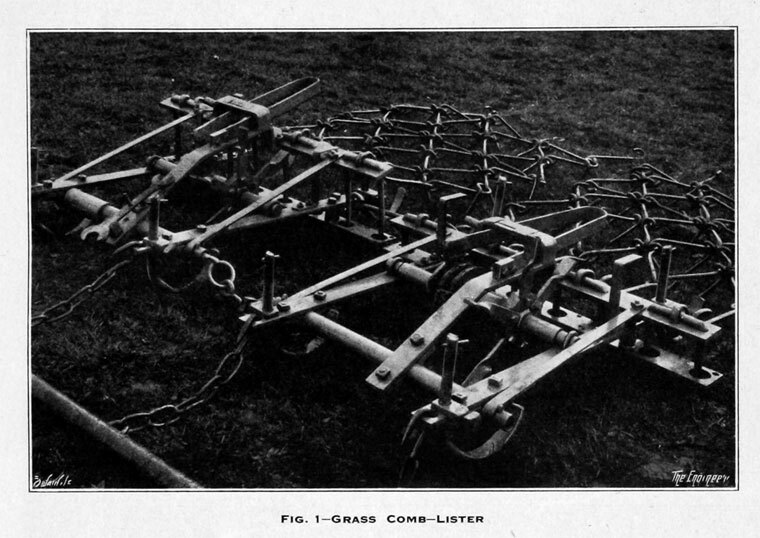 Exhibit at the Museum of English Rural Life (MERL). 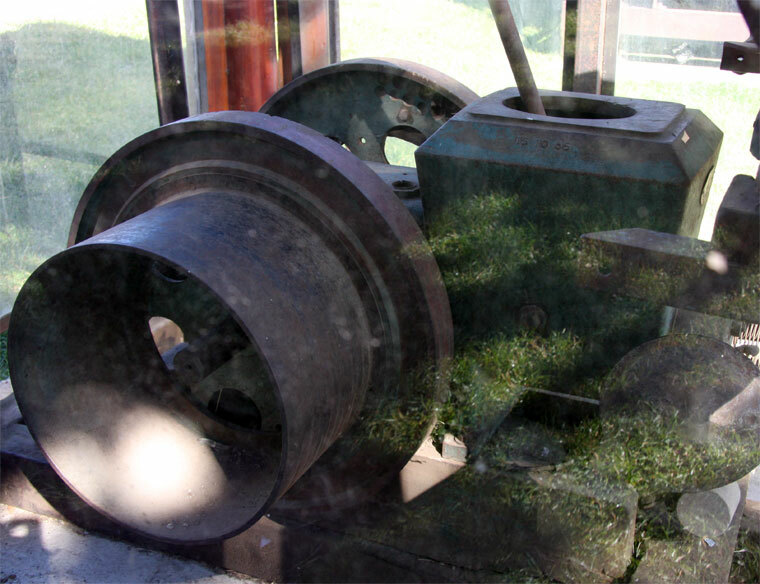 Exhibit at Museum of East Anglian Life. 1938. 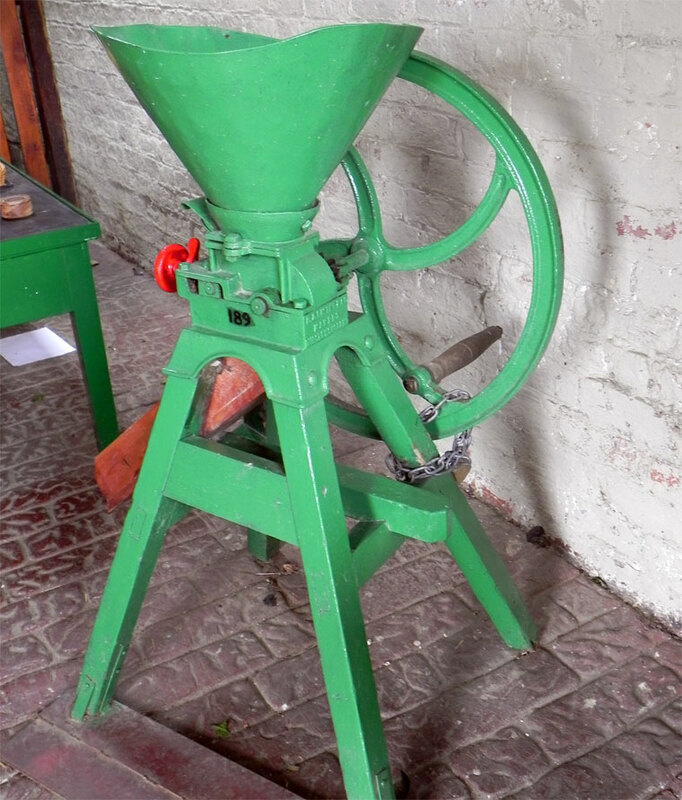 New Foundry at Dursley Works. 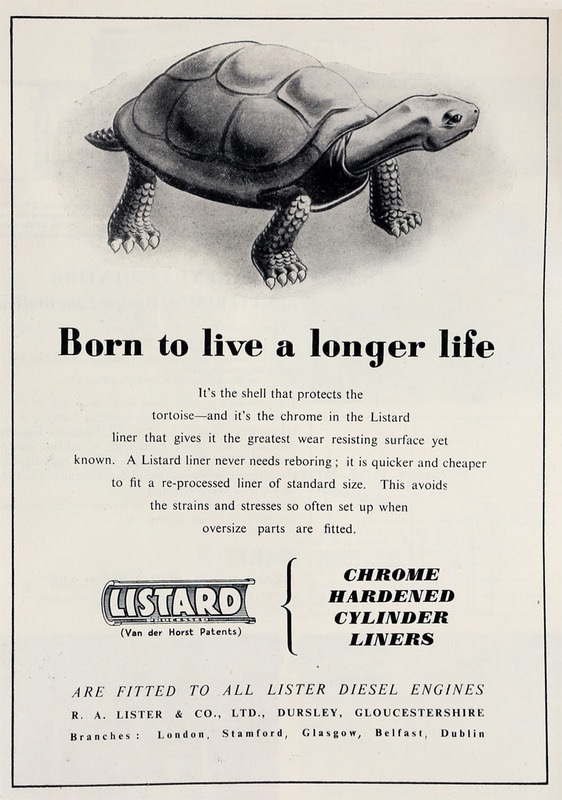 1948. 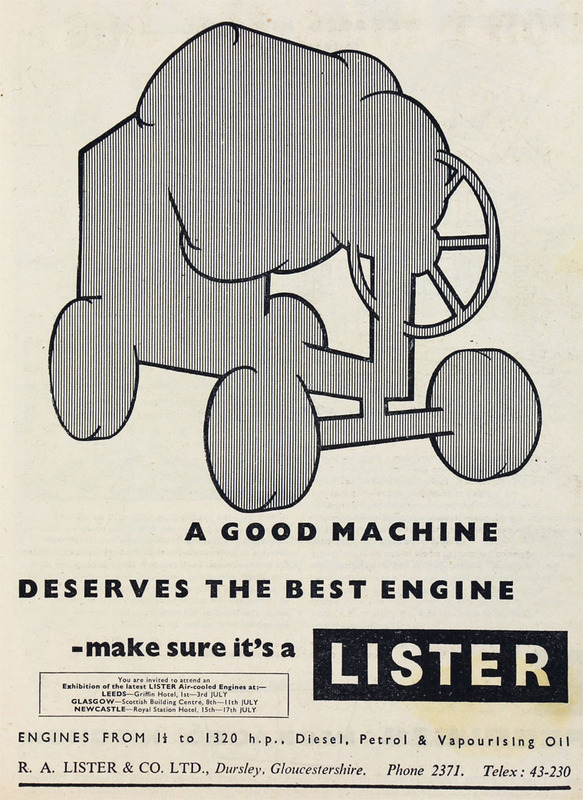 Lister D. 1.5 hp. 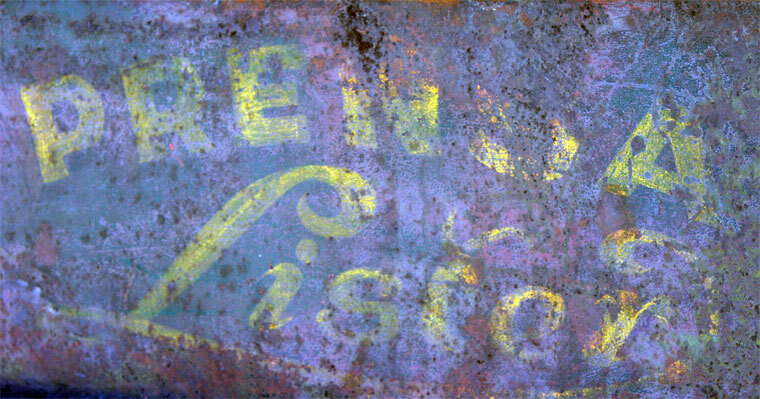 Detail. 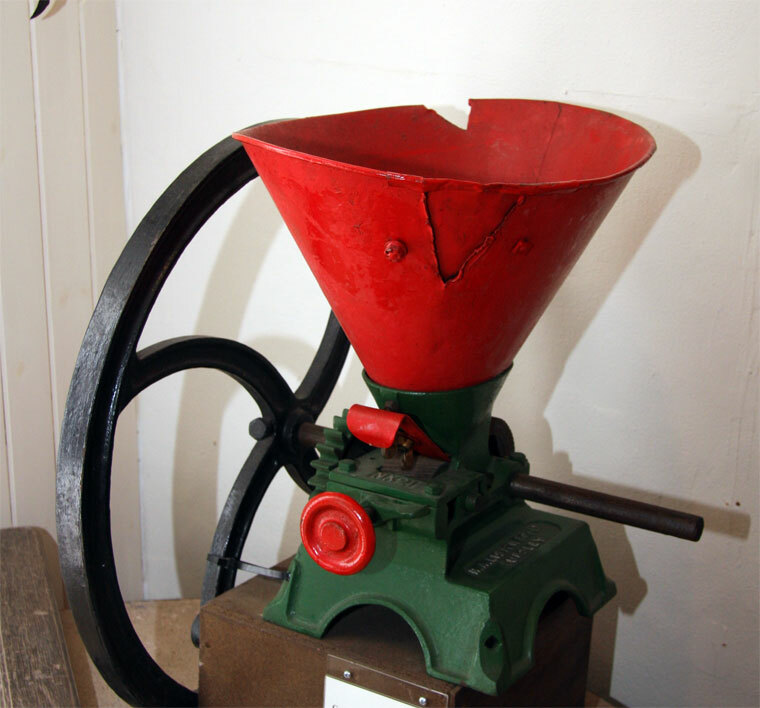 Exhibit at Museum of East Anglian Life. 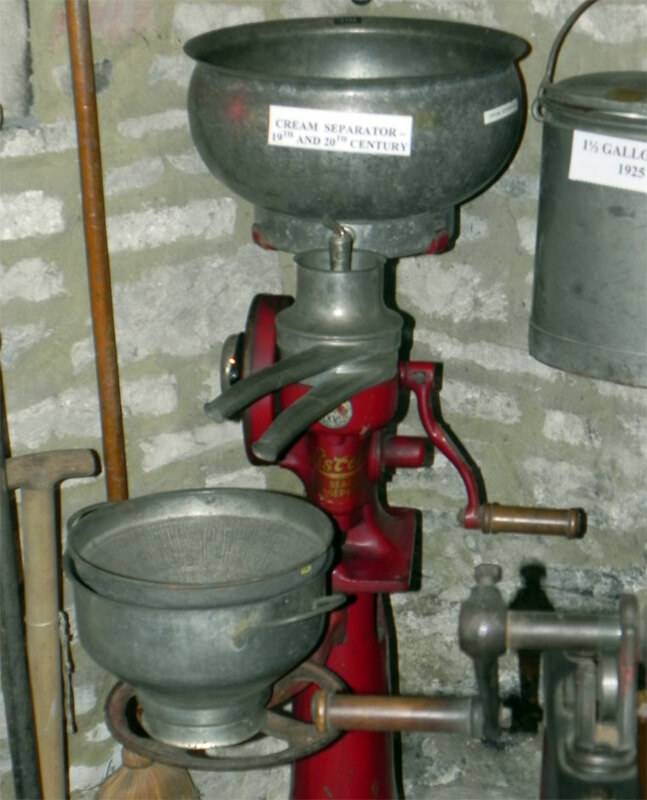 Cream separator. 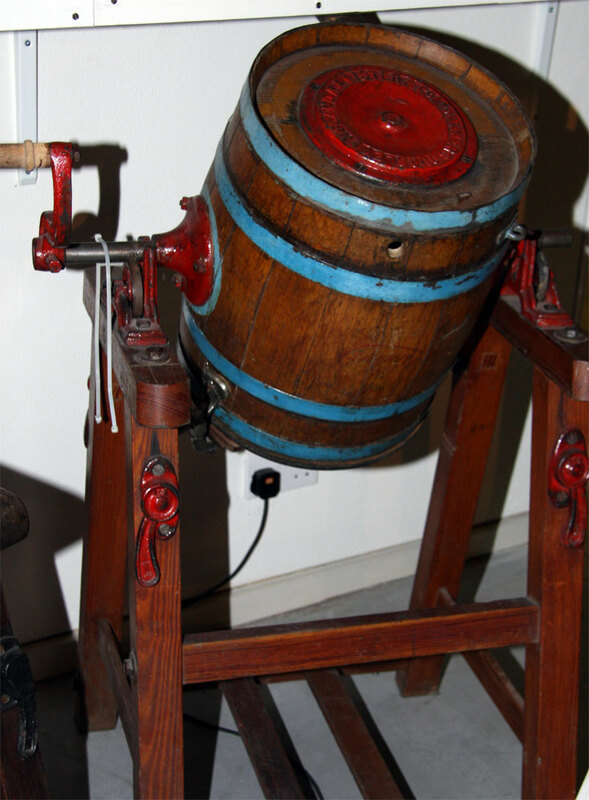 Exhibit at the Grassington Folk Museum. 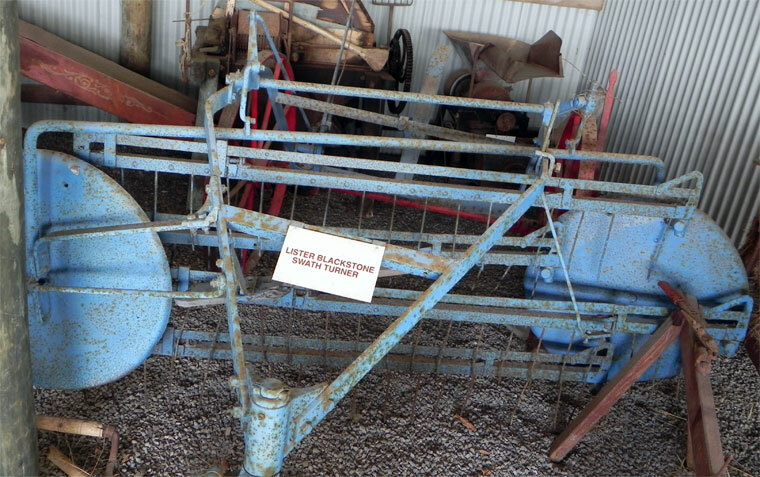 Lister Blackstone Swath Turner. 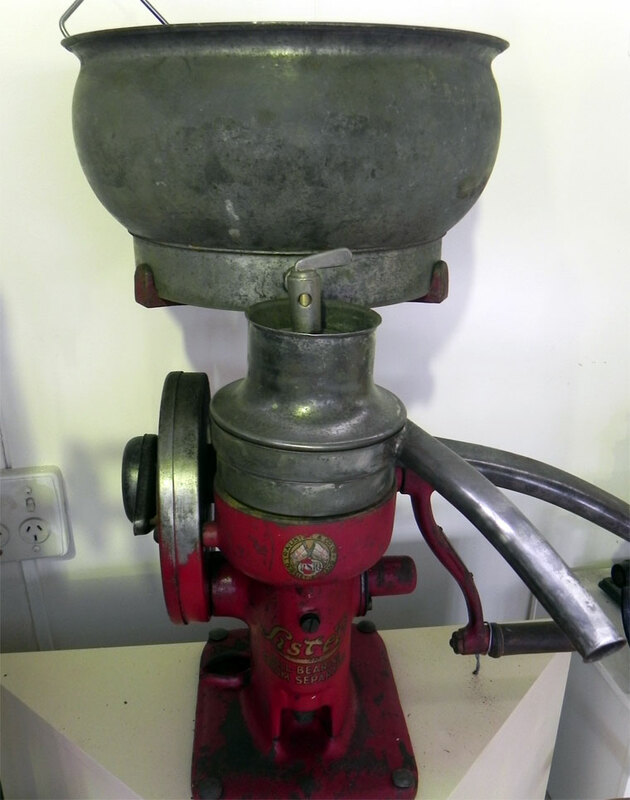 Exhibit at Yankalilla Bay Museum. 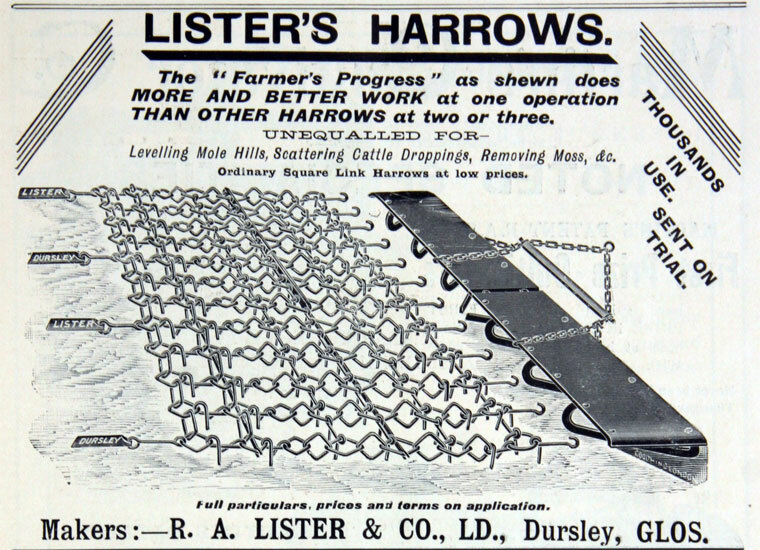 Robert Ashton Lister started a business producing agricultural machinery in Dursley, Glos. 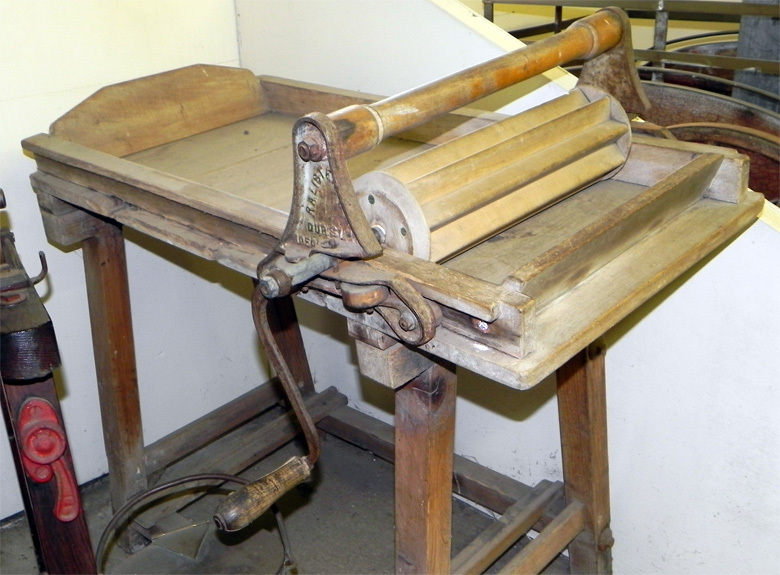 His father (George Lister) had moved to Dursley from Yorkshire in 1817; soon afterwards, George had established a business involved in tanning, card-making and wire-drawing. 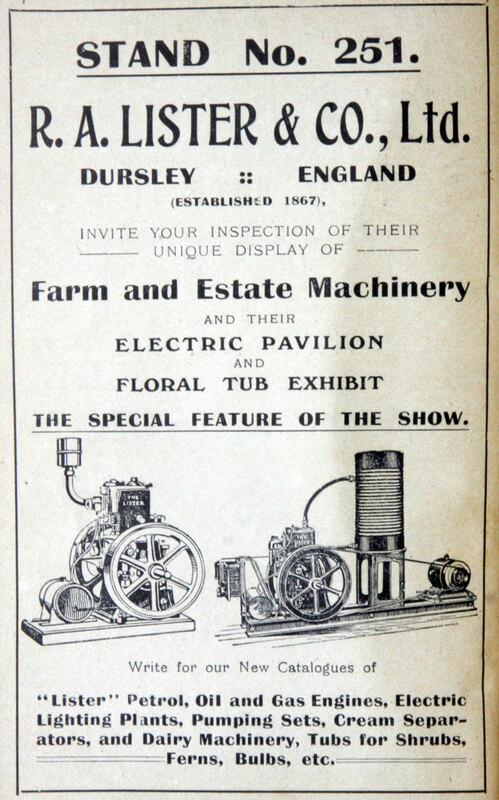 By 1867, Ashton had become estranged from his father and set up his own business in Howards' Lower Mill in Water Street, Dursley, producing agricultural machinery. Sales increased in the U.K. and abroad over the next 15 years despite the up and downs of the farming market. 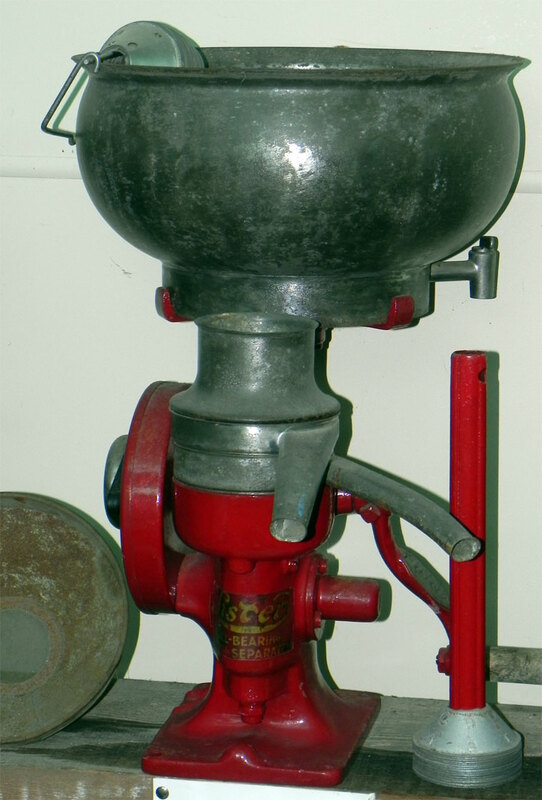 1889 M. Pedersen, a Danish engineer, invented a novel cream separator. 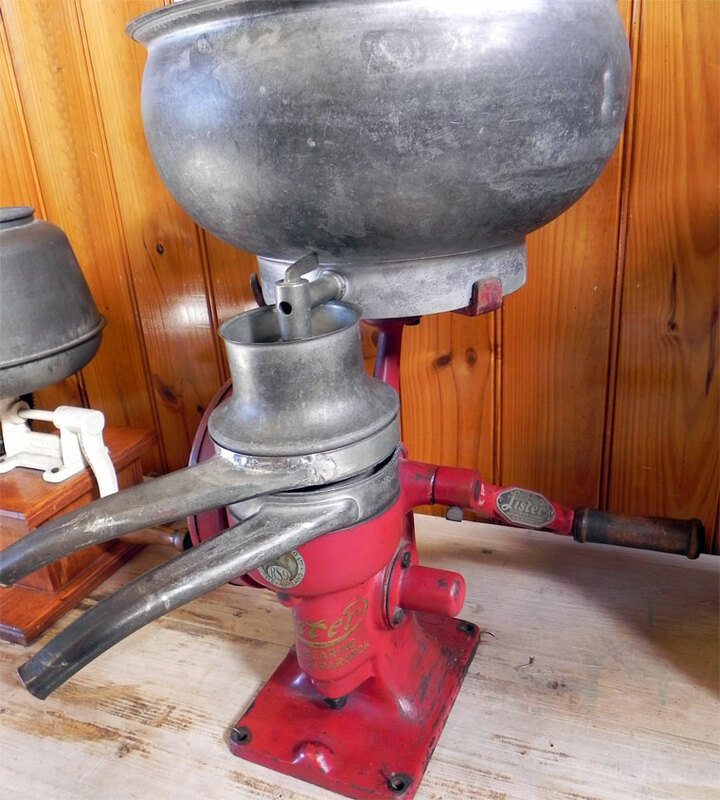 Ashton acquired a licence to sell this in the U.K., under the name "Alexandra Cream Separator". 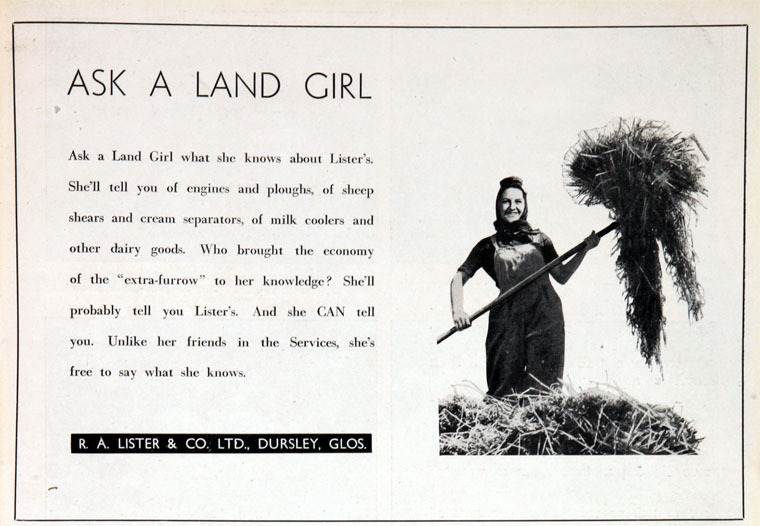 Pedersen later moved to Dursley to work in the dairy section of Lister's business. 1893 Incorporated as a private limited company. 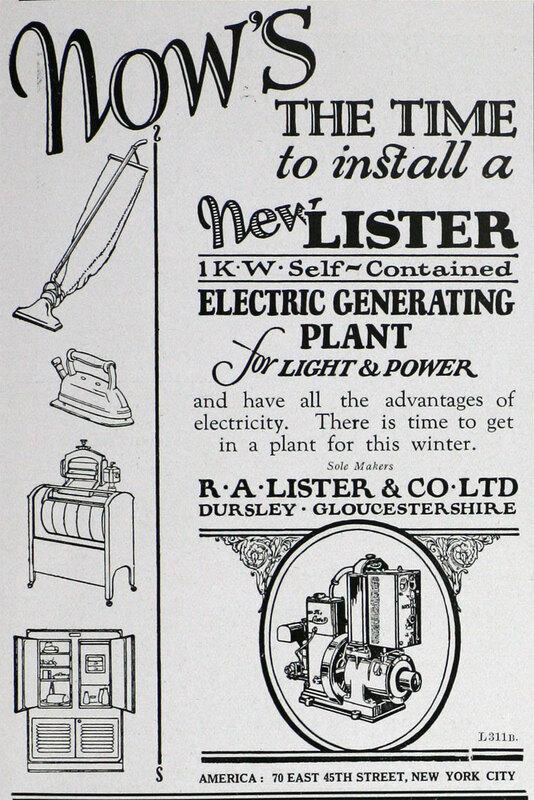 1903 R.A.Lister took over an enterprise established by his relations, the Lister Electric Light and Power Manufacturing Co. 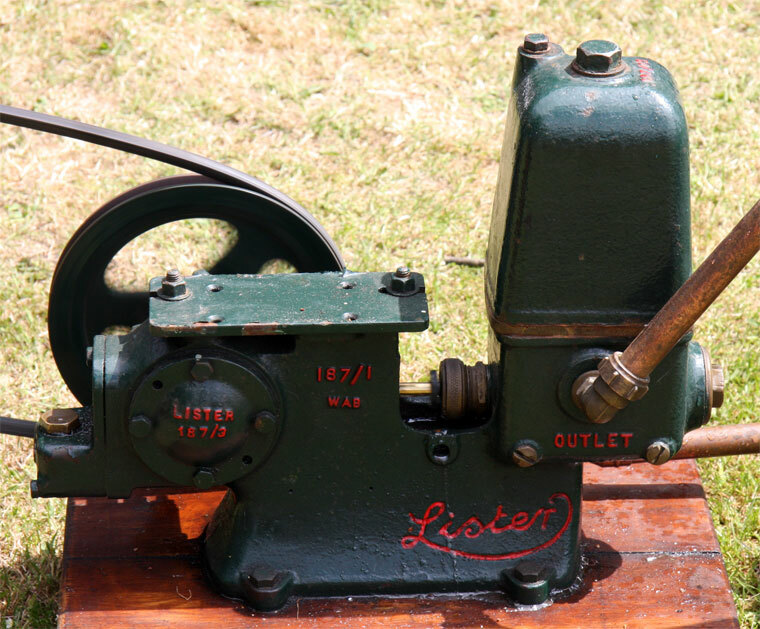 Formed the Lister Electrical Machinery Co .
1903 Introduced new cream separator of Lister's own design. 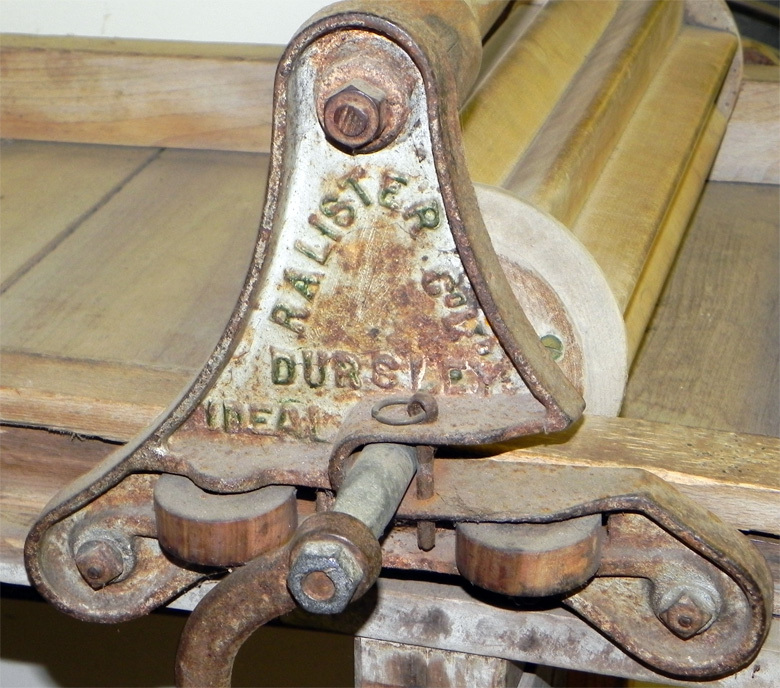 1905 Took over the Dursley Pedersen Cycle Company after a slump in its sales; redesigned the gear mechanism; resumed production of cycles. 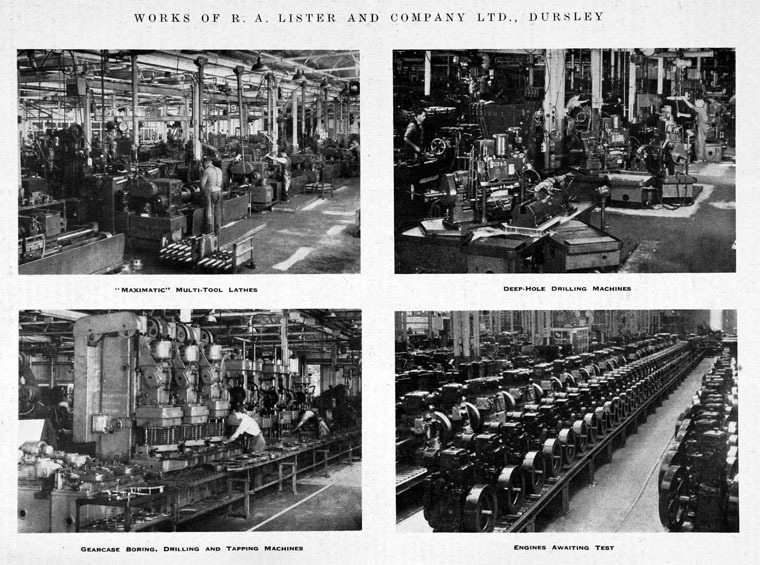 1907 John Herbert St. Hill Mawdsley took over Lister Electrical Machinery Co, which became Mawdsleys. 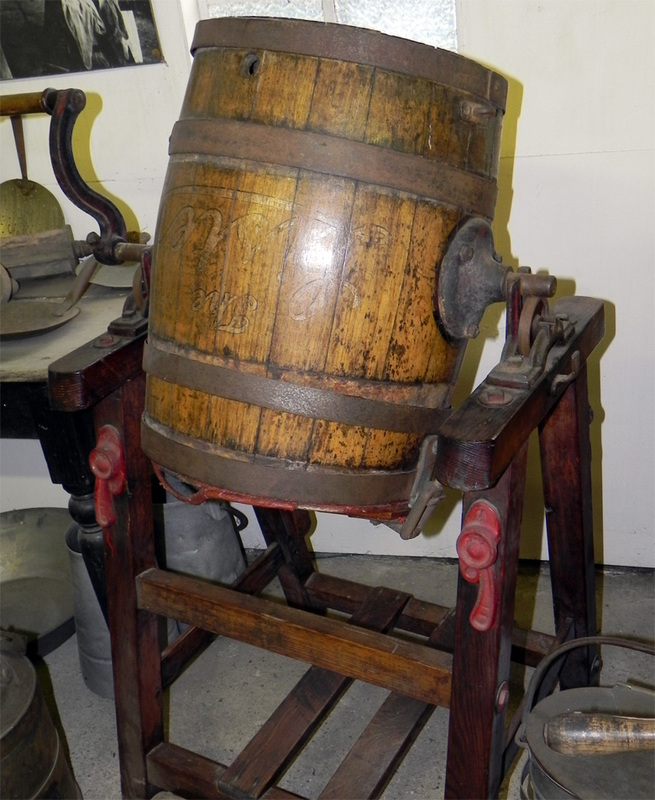 Early 20th century: new products introduced included sheep-shearing machinery, milking machines, as well as the manufacture of milk churns and barrels. 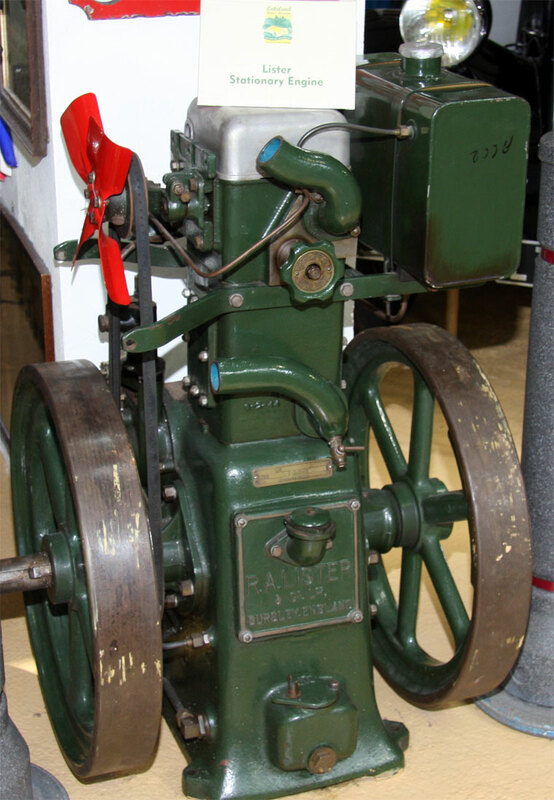 1909 Petrol engine introduced to the company's product range. Design acquired from F. C. Southwell (London). 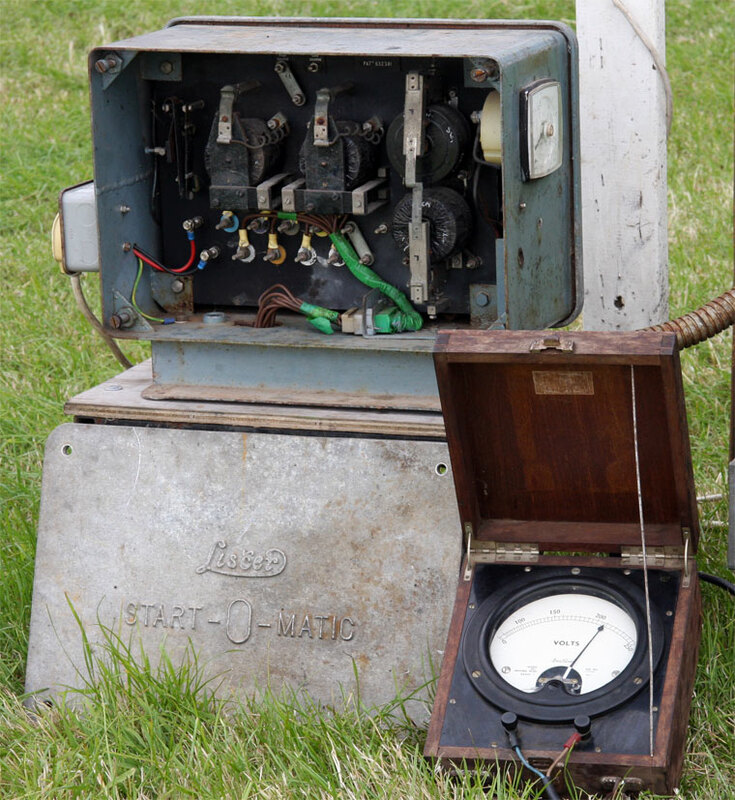 Used for a variety of purposes including electricity generation and powering the new sheep-shearing machinery. Victoria Works extended to cope with demand. 1911 Robert Ashton Lister received a knighthood. 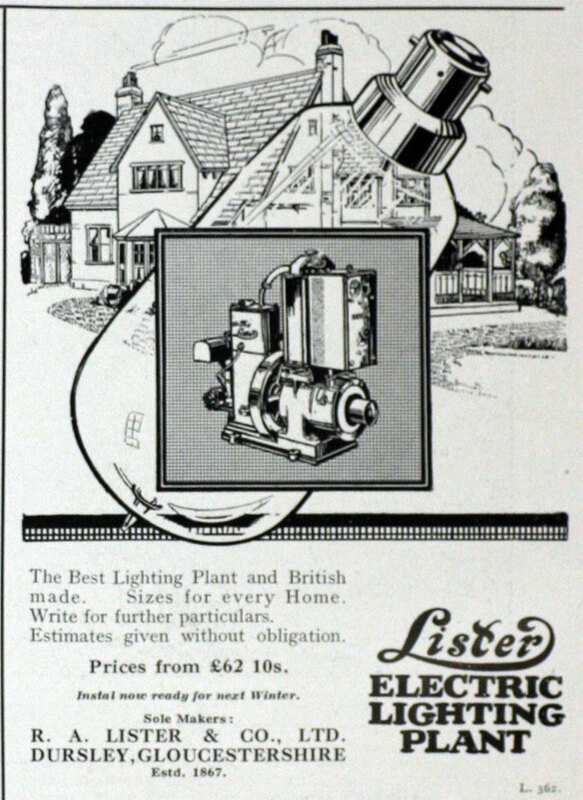 1912 Lister-Bruston advertised their Automatic Electric Lighting Plant which could be seen at their Westminster premises. 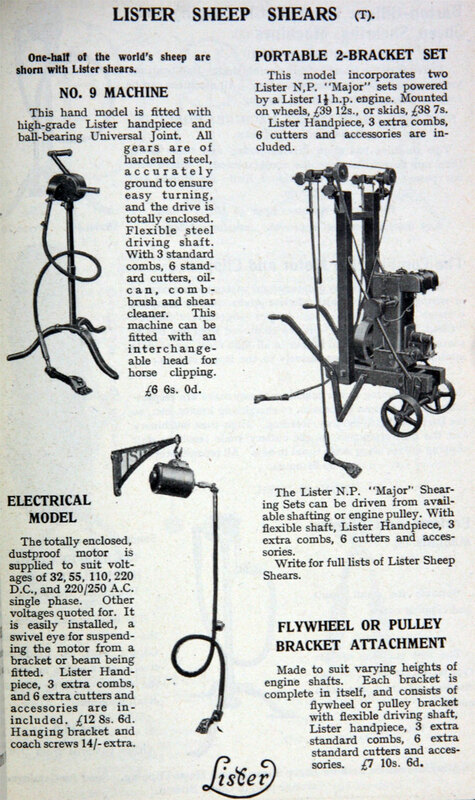 1913-1917 For a list of the models and prices of Paraffin Commercial and Agricultural Motors, Tractors, Ploughs, Sprayers, etc. see the 1917 Red Book. Made under Avery name. 1913-1917 For a list of the models and prices of Petrol Motor Commercial Vehicles see the 1917 Red Book under the Avery name. 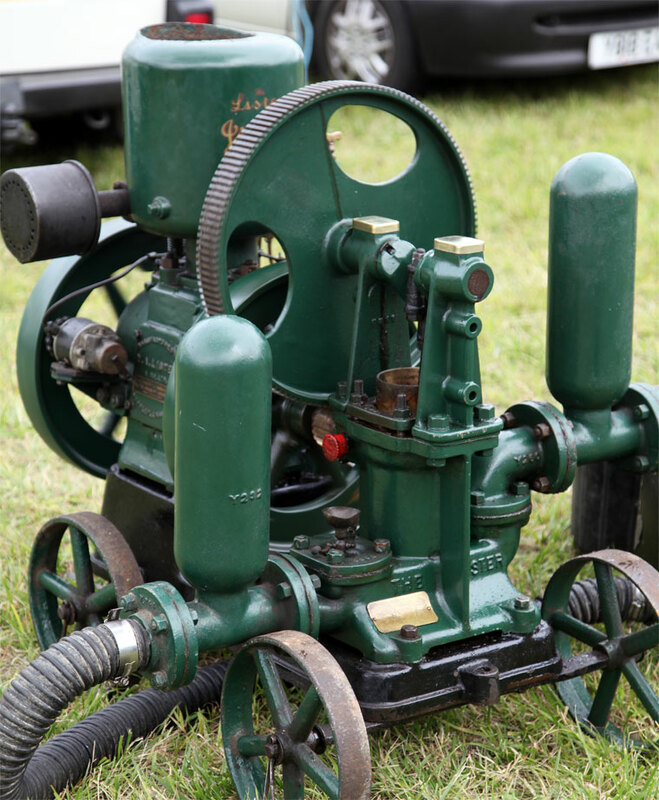 WW1: manufactured petrol engines, lighting sets and munitions components. 1917 Ceased sale of bicycles. 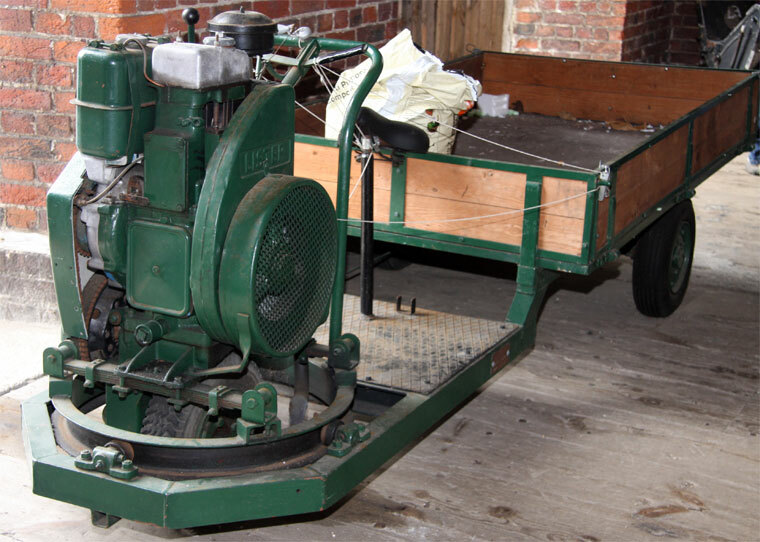 1926 Introduced the Auto-truck, a light truck fitted with its own engine, for transporting goods around factories, railway stations, and dockyards. 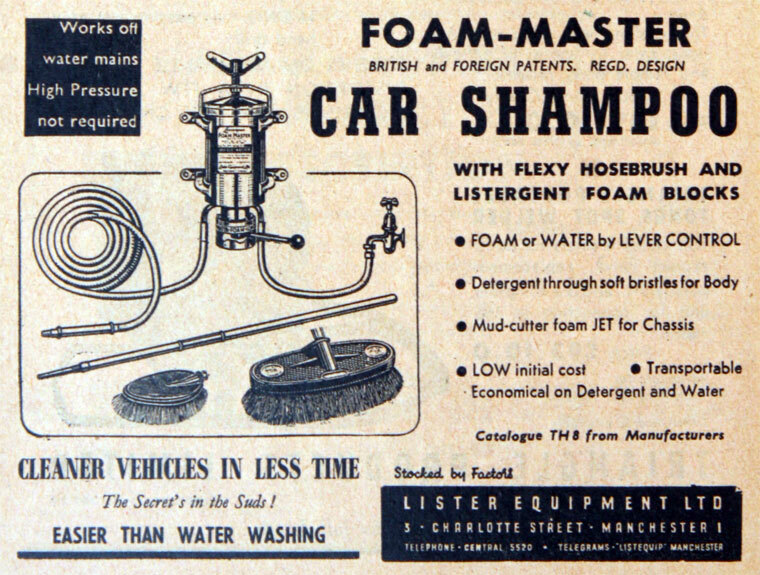 Continued in production until 1973. 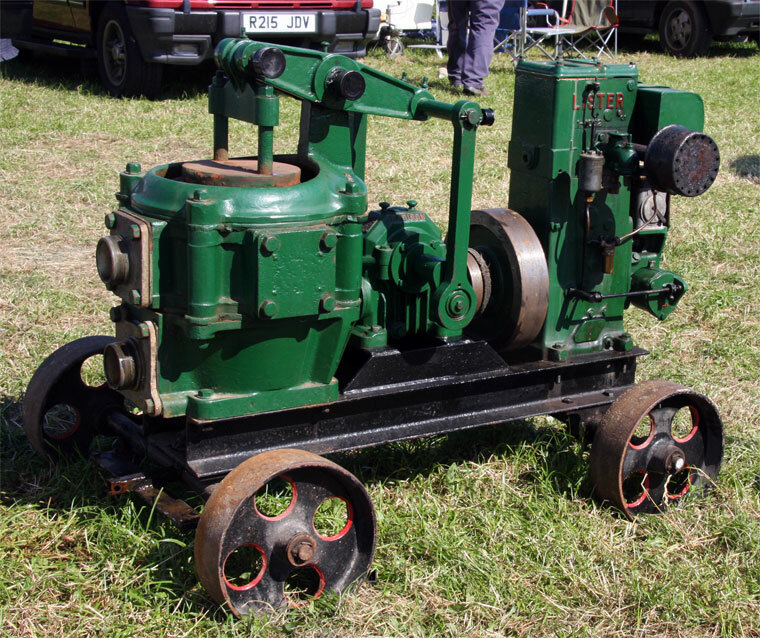 From 1926 to 1968 Lister also built light narrow gauge railway locomotives, weighing as little as 1½ tons, typically used by small brickworks and on peat bogs. The locos were often characterised by a total lack of bodywork; sometimes they had the luxury of an all-over roof supported by four corner posts. 1927 The directors invited a group of workers, elected by everyone employed by the company, to sit with them at their meeting every month in order that a closer link could be made between workers and directors. 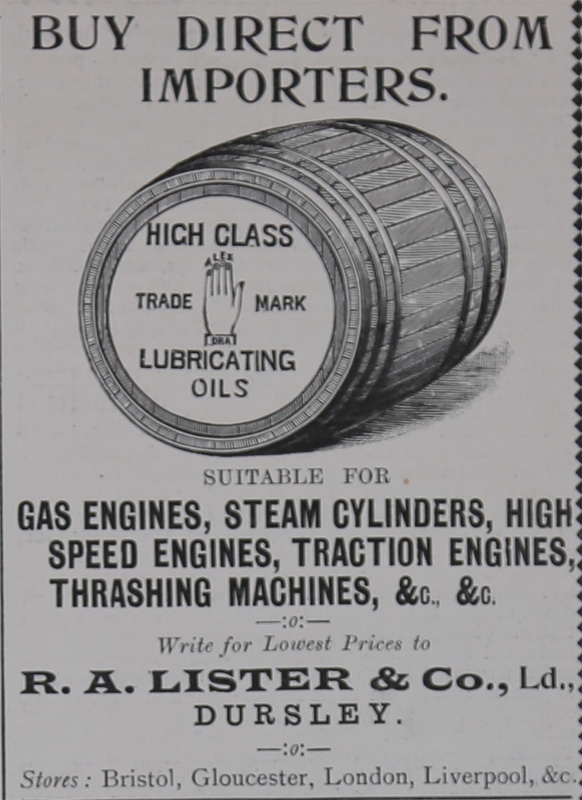 1929 Death of Ashton Lister. 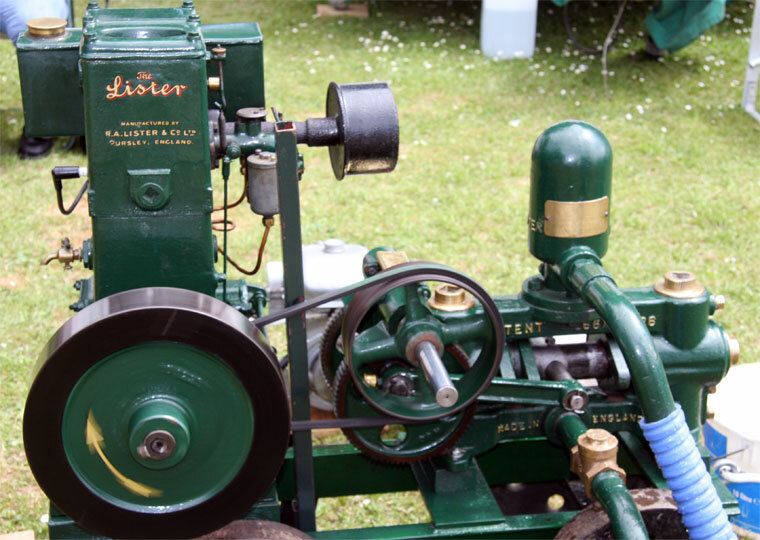 1929 The first of Lister's own design of "CS" (cold start) diesel engine was made in Dursley. 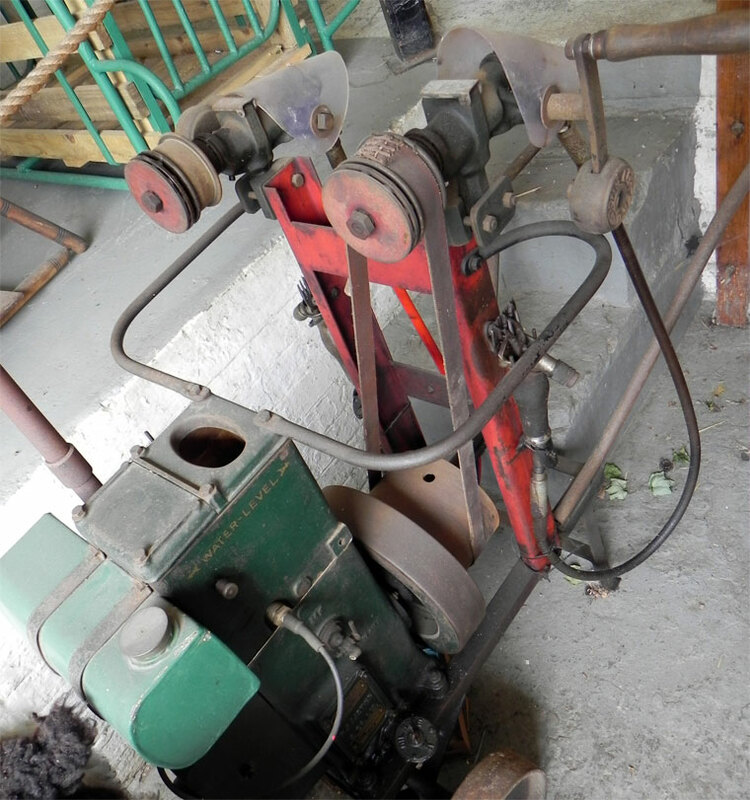 The CS is a slow running (600 rpm), reliable engine, suitable for driving electric generators or irrigation pumps. 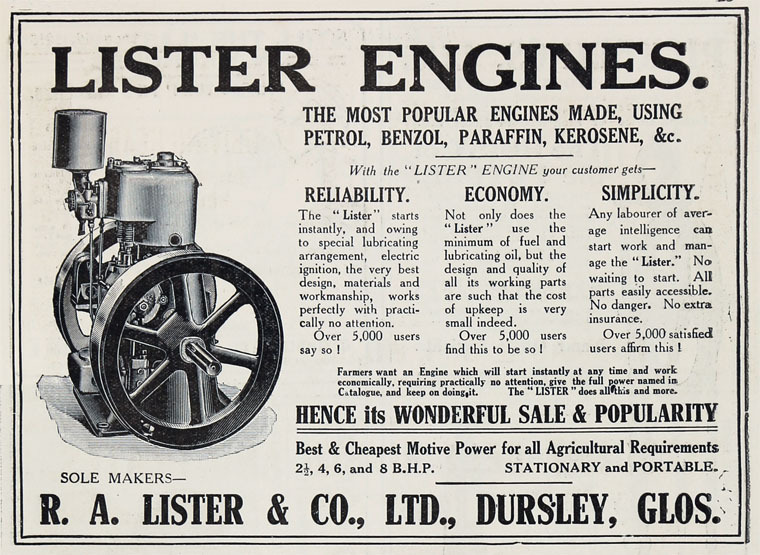 Lister engines were usually painted Green. 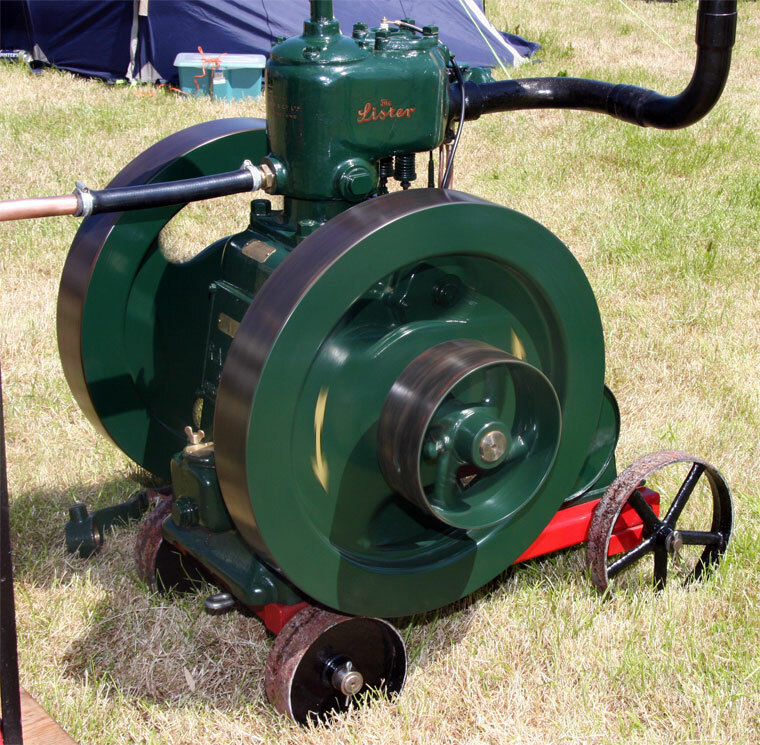 Production of these engines in England ended in 1987 but a number of Indian manufacturers have since continued production of "Listeroids" or clones copied from the CS design. These engines are used in India and also exported to other countries, including Australia and the USA. 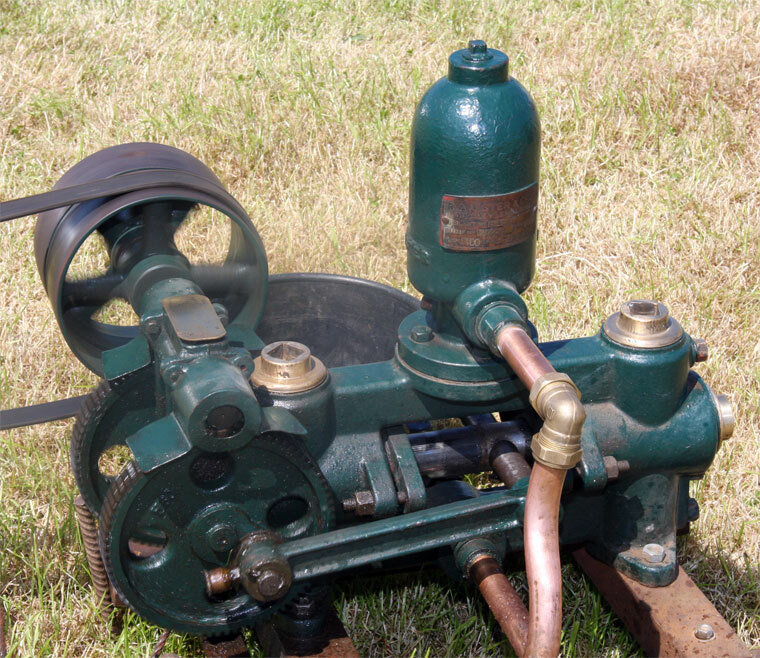 Recently there has been an upsurge in interest in these engines and their unique capabilities for long-term electrical generation or pumping. 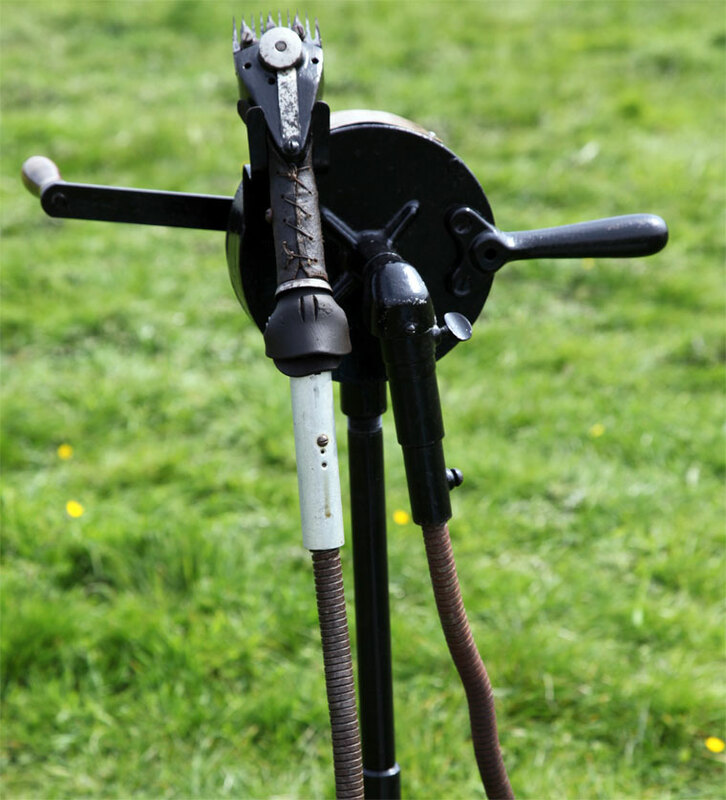 They are becoming increasingly popular for "off grid" or "remote" uses, partially because of their ability to use a large variety of alternate fuels and ease of maintenance and repair. 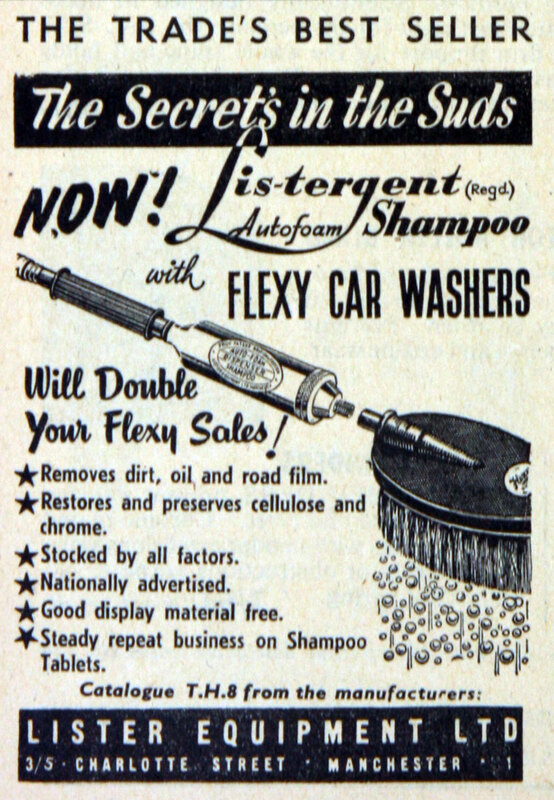 1930 Agreement with Ruston and Hornsby Ltd to coordinate the design, production and sales of the two companies's products but without financial merger of the companies. 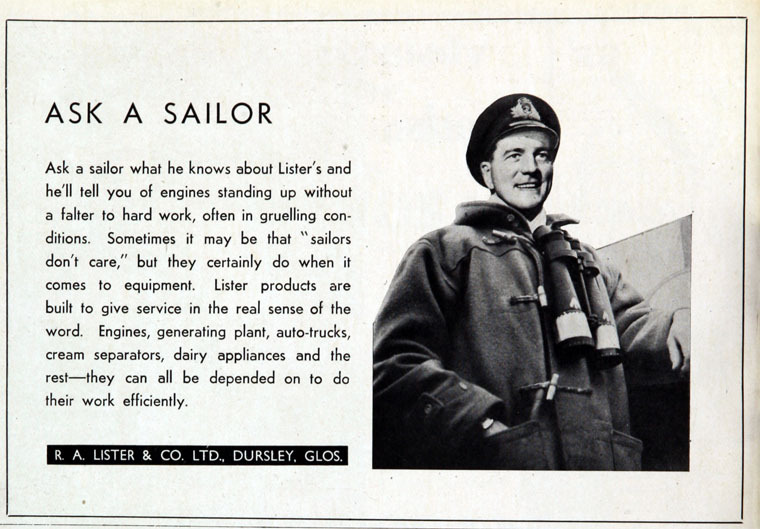 Lister would concentrate on engines up to 25 H.P. 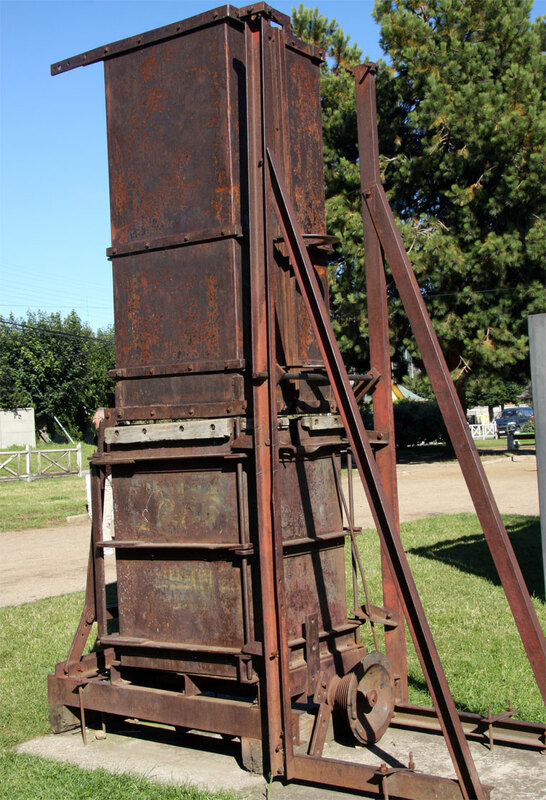 whilst Ruston and Hornsby would produce oil and gas engines, both horizontal and vertical. A new light, cold-starting high-speed diesel would be produced jointly, in sizes from 25 H.P. 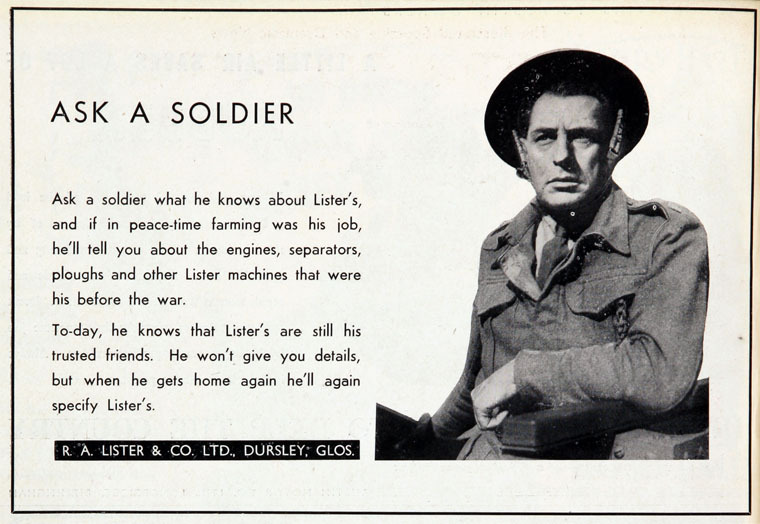 to 100 H.P. .
1931 R. A. Lister and Co established a contributory pension scheme for its male workers which would pay them £1 per annum for each year of service at the age of 65 . 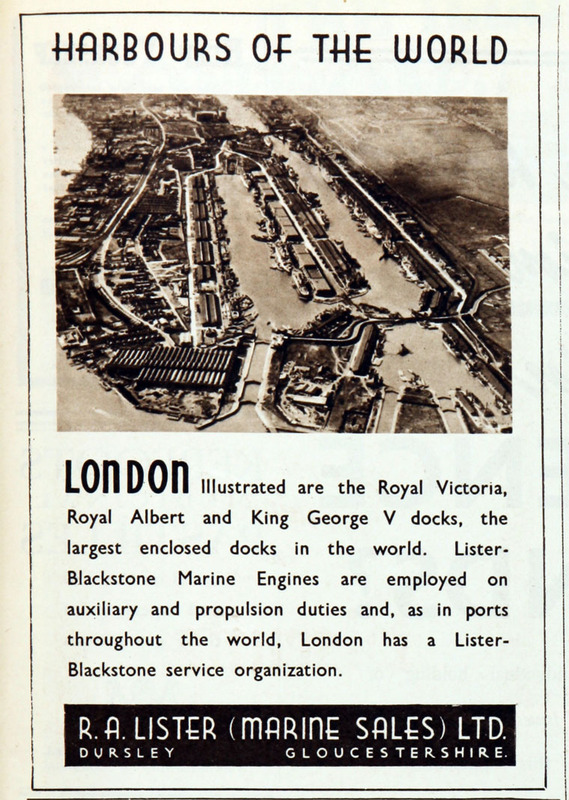 1931 Joint venture Ruston-Lister Marine Co established with Ruston and Hornsby to focus on the maritime market (liquidated 1935). 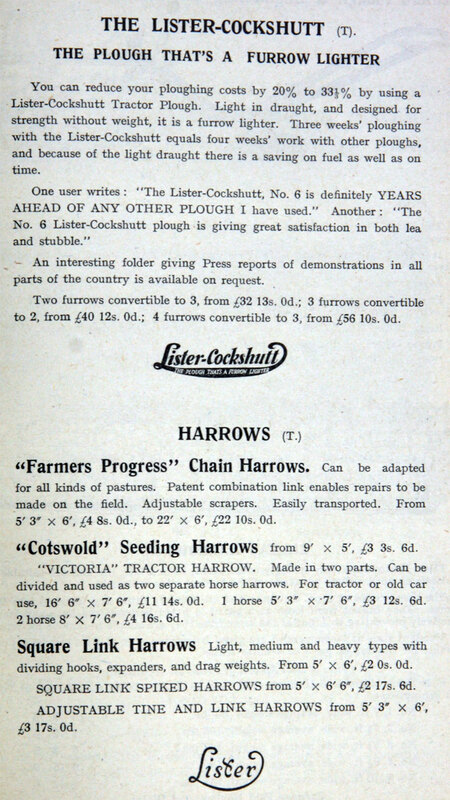 1932 Lister and Ruston and Hornsby jointly acquired the road-roller manufacturers Aveling and Porter, and Barford and Perkins from the receivers of AGE. 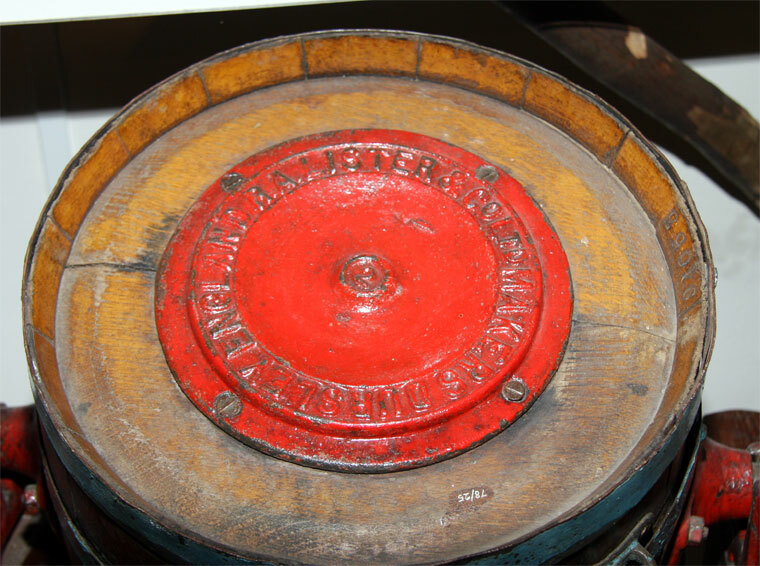 A new joint company Aveling-Barford was established to hold these interests. 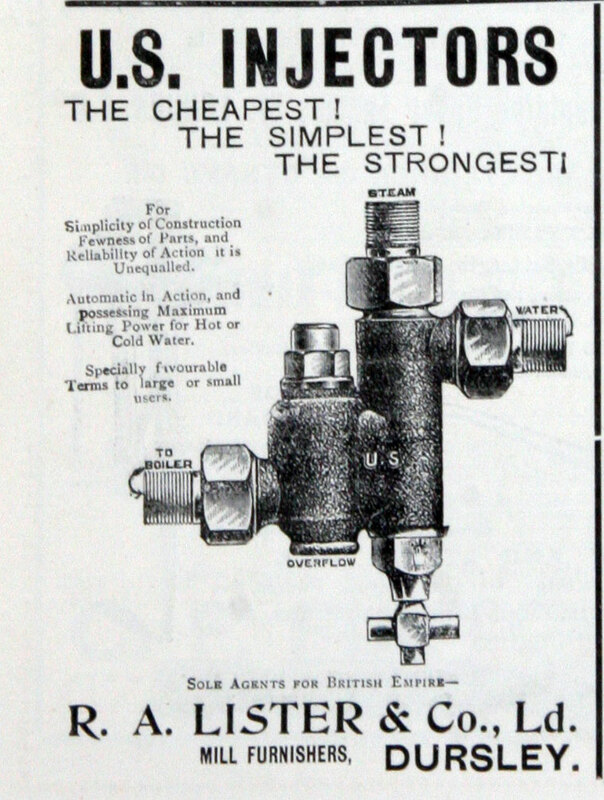 1933 Issue of shares to fund expansion. 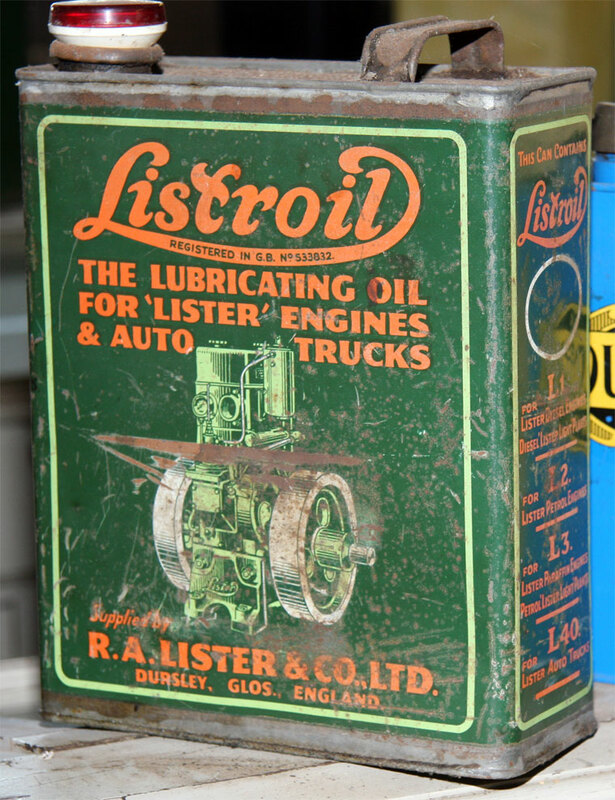 1934 After 10 years as Managing Director, Percy Lister became chairman in succession to Austin Ashton Lister. 1936 Rationalization agreement (1930) with Ruston and Hornsby ended by mutual consent. 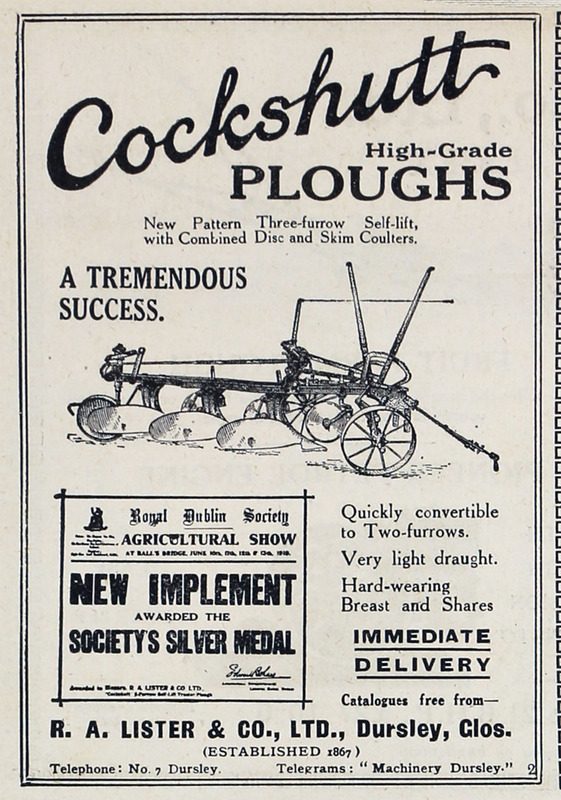 1936 Acquired substantial shareholding in Blackstone and Co of Stamford leading to co-operative agreement. 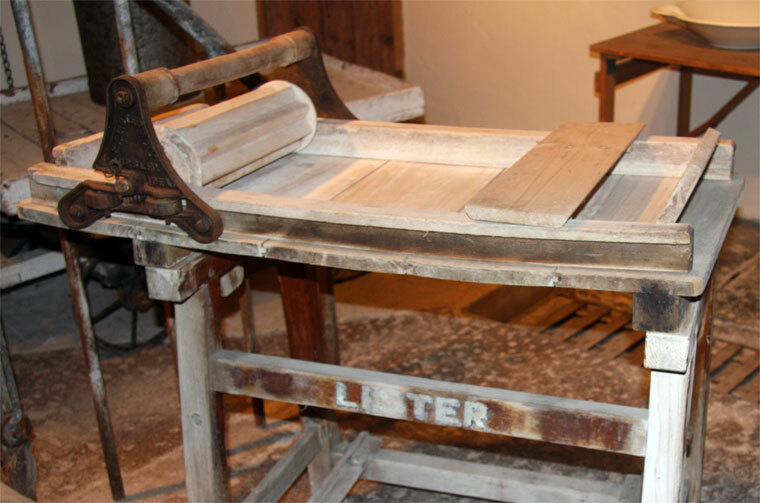 See Lister-Blackstone products. 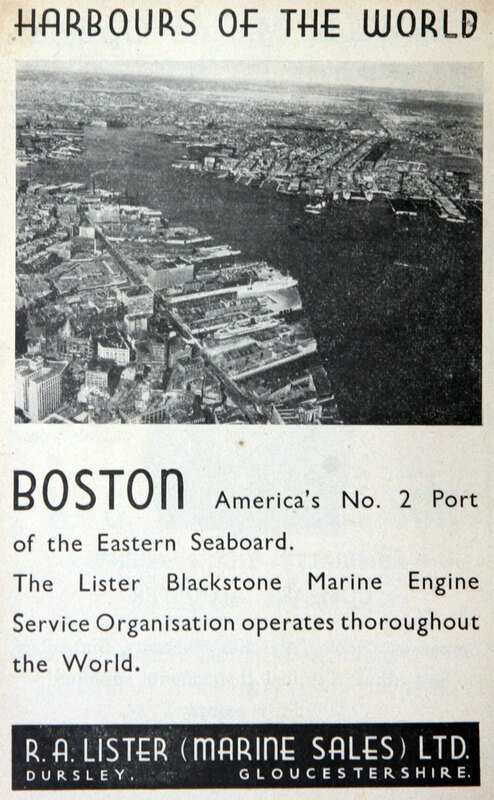 1937 Issue of shares to fund expansion of the business, including Blackstones which Lister controlled. 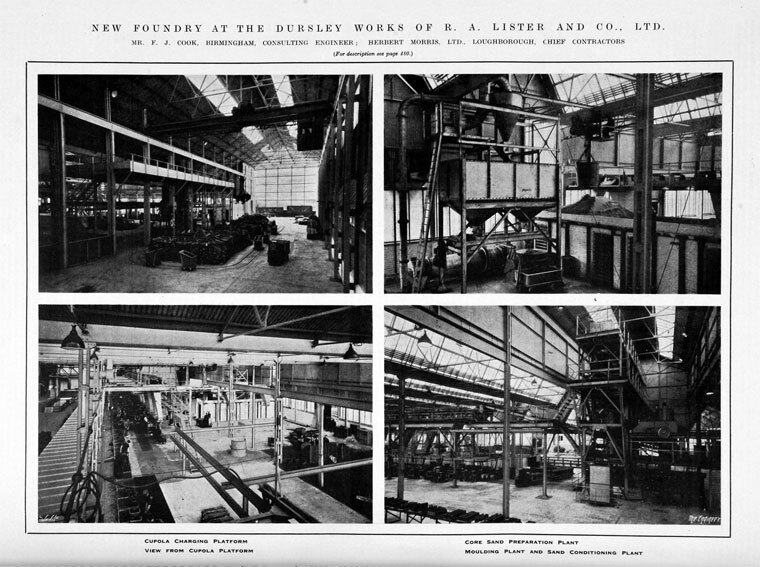 1938 Opening of new mechanised foundry at Dursley by R. A. Lister "one of the few surviving family concerns in the country". 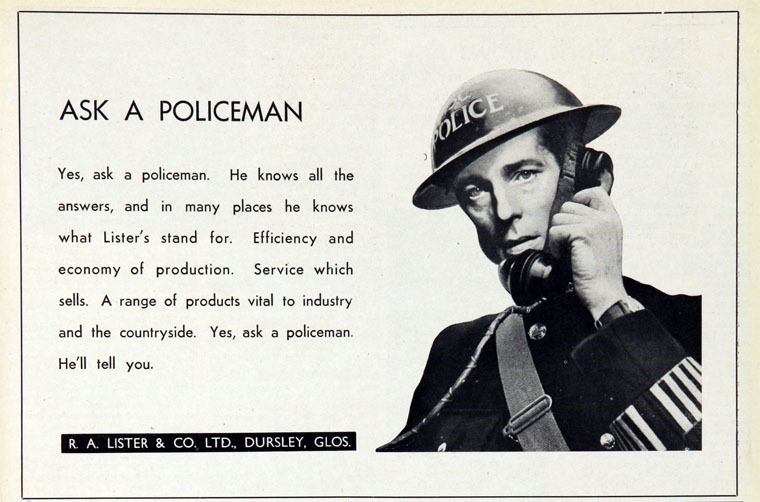 3000 employees at Dursley; 1000 at Stamford. 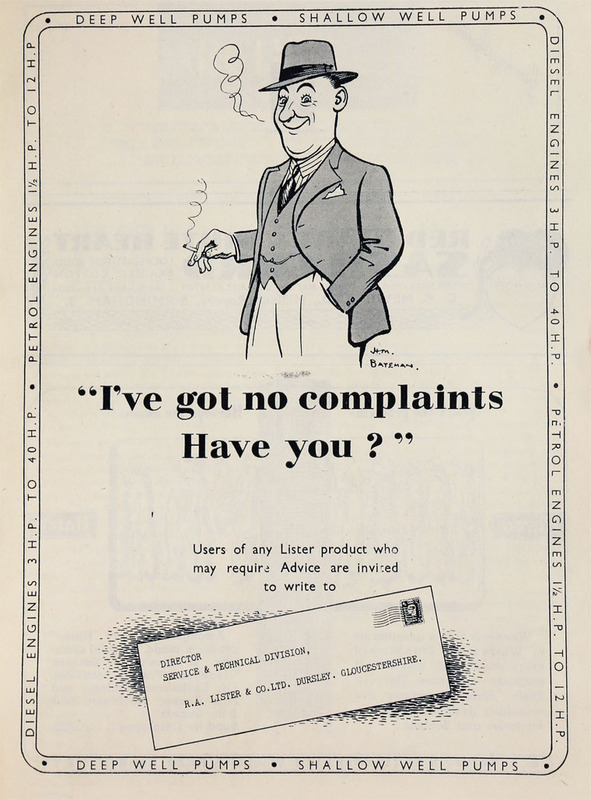 1944 Producing the CD, CE and 2JPM diesel engines for marine use. . Subsidiary factories set up in Nympsfield, Wotton-under-Edge and Cinderford to manufacture components. 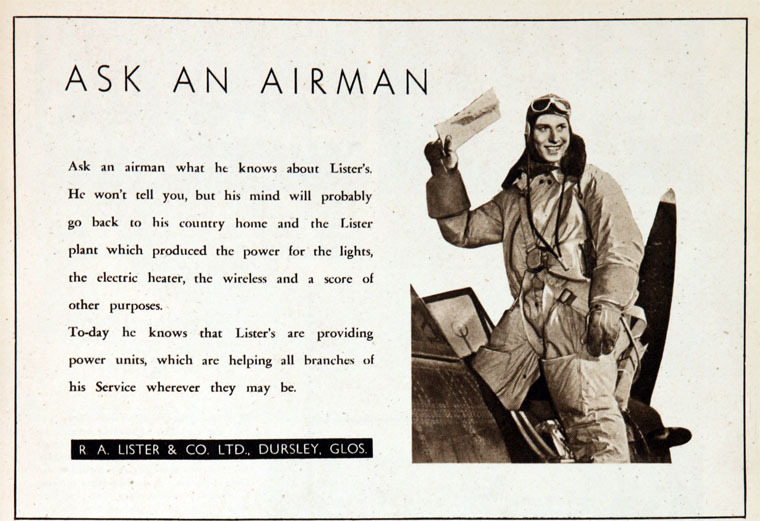 1965 R. A. Lister and Company was taken over by the Hawker Siddeley Group. 1980 3,000 employees; 80% of production exported . 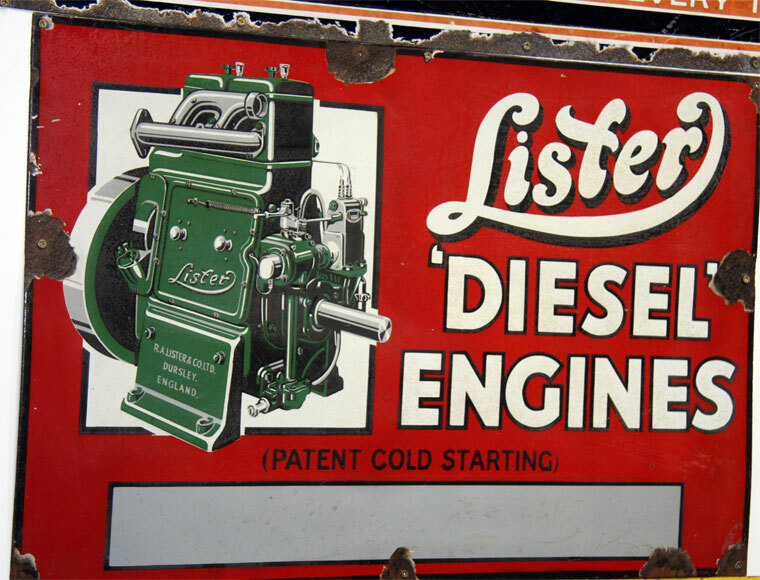 1986 Merged with Petter Diesels to form Lister-Petter Ltd. This page was last edited on 29 October 2018, at 13:40.